A sister plays so many roles in our life. A friend that you can safely take for granted. A confidante whom you can trust with all the secret crushes. A bridge between you and your family, so on and so forth. Your sister's birthday is the time to let her know how much her presence in your life mean to you. Or may be, you could tell her in a very personal birthday wish, that you will be there for her, with all the love and support whenever she needs you. 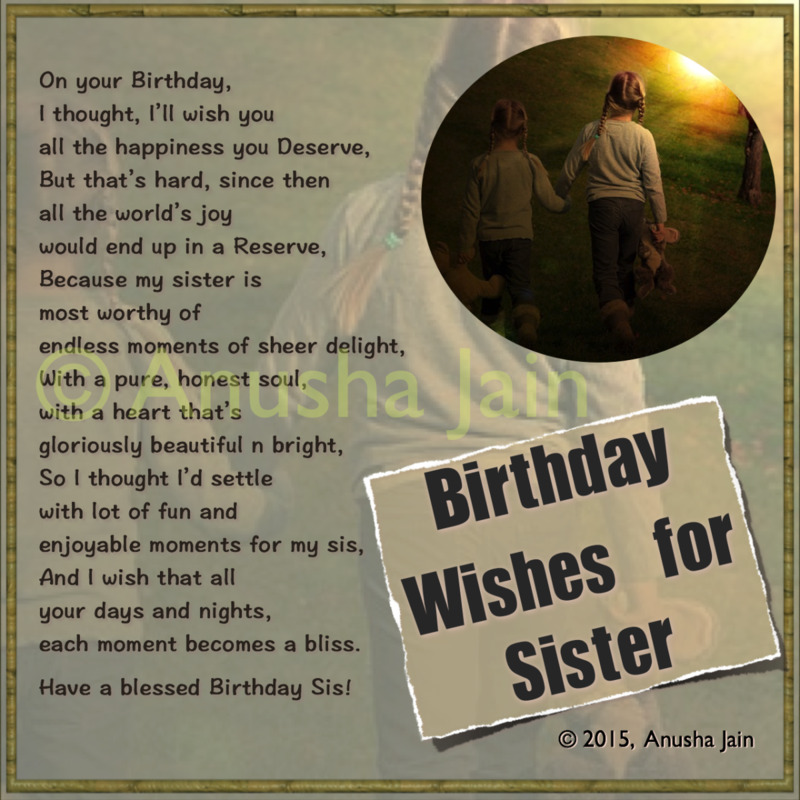 This collection of rhyming birthday messages, birthday quotes for sister and loving wishes may help you in creating a birthday card/message which be memorable and bring a smile of fondness for you on the face of your sister. You may be my sister by chance, but you're definitely my friend by choice. And I've been quite smart in making this choice. Happy Birthday Sis. Since childhood, You’ve been a constant source of inspiration. You’ve achieved a lot, and I’m so proud of your achievements. May you continue to be blessed, happy and continue to make all of us proud with your diligence… Happy Birthday to my Dear Sister. People in my life who haven’t met you, often ask, what’s your sister like? I'm so proud when I describe you, glad to have you as my sister. Happy Birthday! I know I'm not very good at expressing. But if there ever was a World Wide contest for best sister, I would have fought for the award for you sis. I wouldn't have rested till I’d heard… "And the Award goes to… my Sister (Replace this with your sister's name) " You are not the best sister I could’ve had. You are the best sister in the world. Your birthday is supposed to be your day, obviously. But I still feel it’s mine… in ways more than one. You were sent to the world, thus my lucky day. You celebrate and are so generous, I get more cake & chocolates then you, so again, my day. You share your gifts, being the lady with big heart you are… Okay, I know no amount of flattery will let me get your precious gift, but hey, it’s still my day - coz I just love to see to beaming with happiness!! I realize it was so special, so memorable because I shared it with you. Every mischief we commit together, made each day feel brand new. I can’t imagine where would’ve I been without the support which was you. You were the shoulder to cry on, you were the light when all seemed blue. Feel so blessed to have a great friend that I can always take for granted, you. Not everyone has such good fortune, Thank god I'm one of those lucky few. Happy Birthday Sis, Thank God for sending you in my life. And I wish that all your days and nights, each moment becomes a bliss. Have a blessed Birthday Sis! Thanks for being the best dear sister! Happy B'day!! 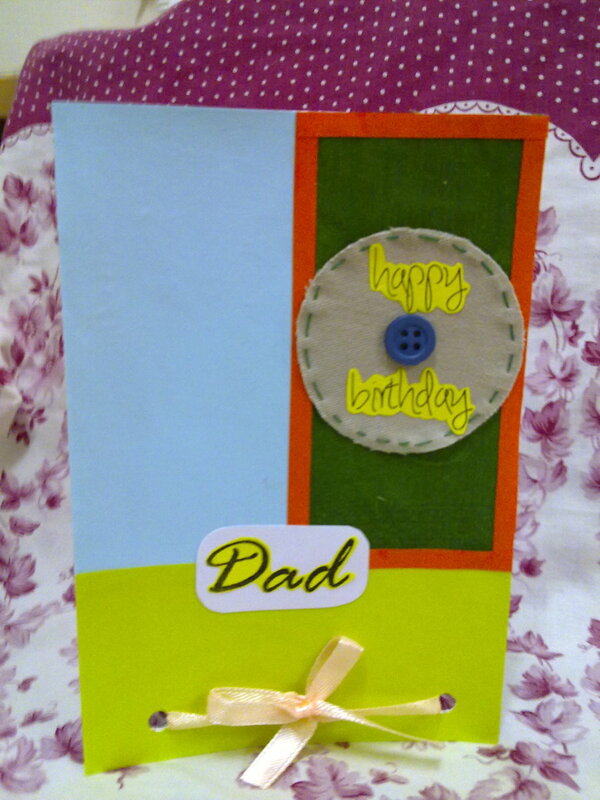 Along with saying Happy B’day, it says thanks for being the best! I hope you have a blasting birthday Sister! But how else would’ve I got the World’s greatest pleasure! And you owe me your quick-wittedness, that’s not a bluff!! 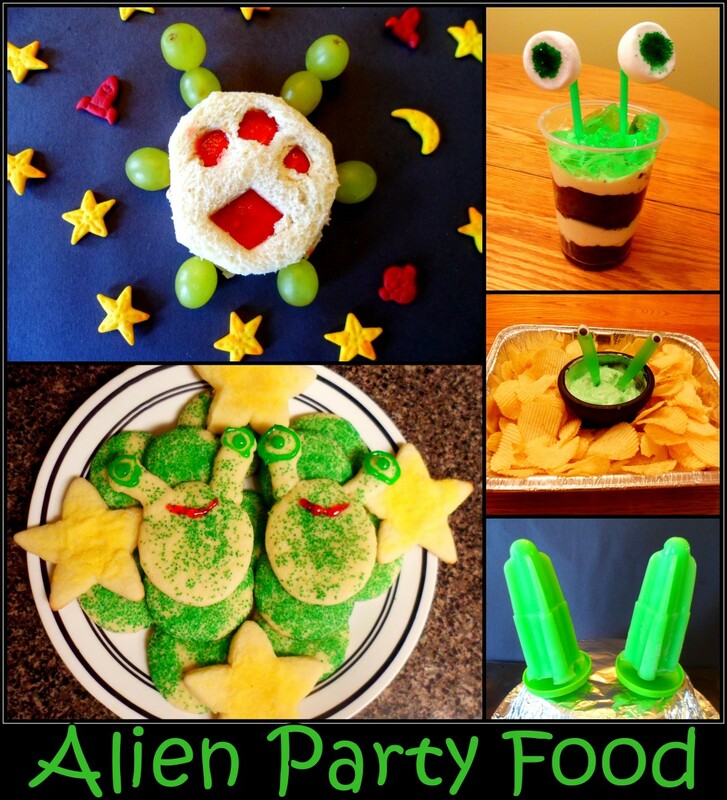 You know I love cake, so be a sport, don't you dare rebuff!! I love you, I really do. But you also annoy the hell out of me. Coz you're so good, falling in your footsteps is so hard, see? Coz you pose as a role model whom I can always look up to! It’s not always easy, but I love challenges, don't forget that. And with time, I've started to love being called your copy cat!! On your birthday, I want to give you all my blessings, best wishes from the bottom of my heart. Have a lot of fun… Happy Birthday. Afraid to hold you, in case you fall! And act sometimes like troll. And do take me to dine. Happy B’day to the Little Doll of my Heart. 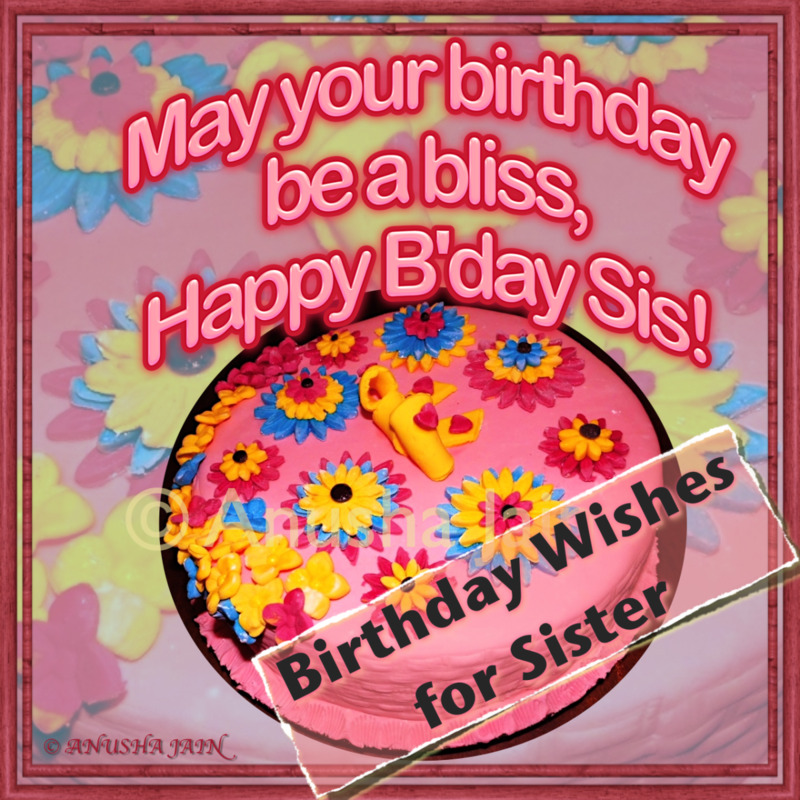 May your birthday be a bliss, Happy B’day Sis! Birthday of world’s best sibling, it’s making my heart sing! Happy B’day!! I don’t say it often enough, but I know acting a bridge between me and whole family is a task Sis. Thanks for never complaining. Happy B’day. 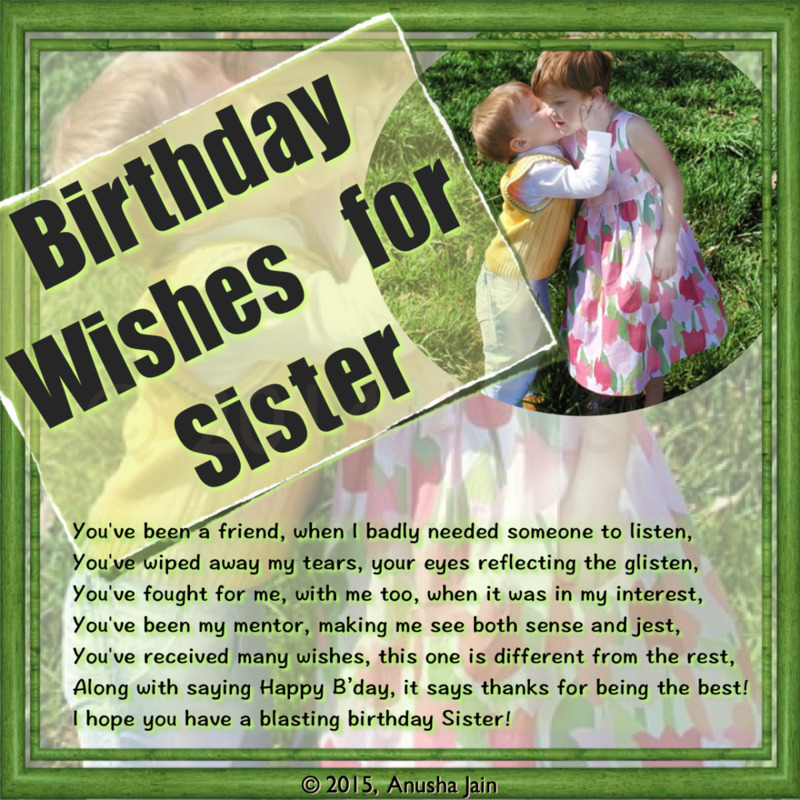 Do you think these messages are worthy of becoming your Sister's Birthday Wishes? Yes! I loved them, and plan to use them! Nope. I didn't find them great. 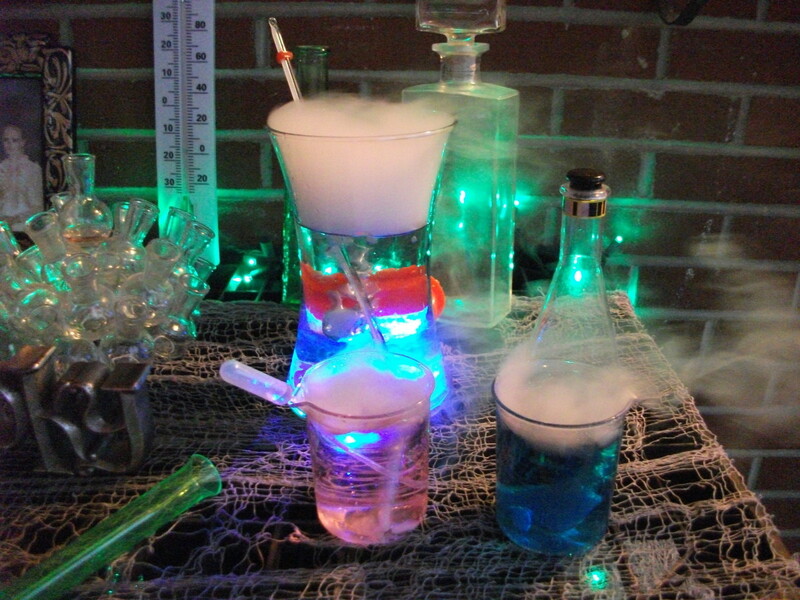 I'll have to modify, but definitely can use the ideas. © 2015, UV Associates. All Rights Reserved. Please note that all the messages/images/videos shared here are original work - all rights are owned by UV Associates. You're welcome to use these for personal use, but any re-publication or use as whole or in parts for commercial purposes is strictly disallowed. Images here use borders from 3D Borders on UV Associates.